Encuentro, which translated from Spanish means both a “meeting place” and an “experience,” is just that. 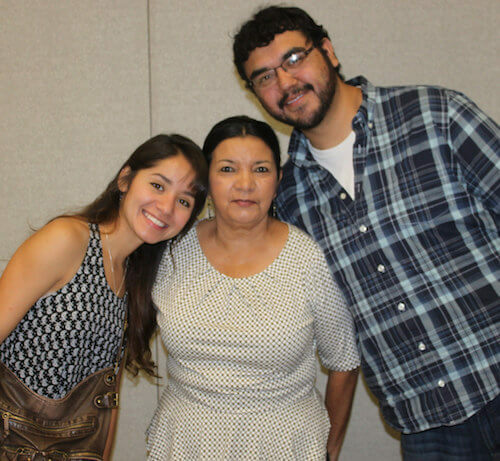 As a Latino immigrant community center located in the heart of Central New Mexico, Encuentro provides a welcoming place where immigrants can come together not only to develop skills but to connect with one another to begin re-building community. Encuentro is located in the historic neighborhood of Barelas in downtown Albuquerque. We share our building with El Centro de Igualdad y Derechos which maximizes our organizations’ ability to collaborate and makes multiple resources available to the community in one location. Encuentro also thanks all of our individual private donors. Thank you for engaging in this ENCUENTRO with us!